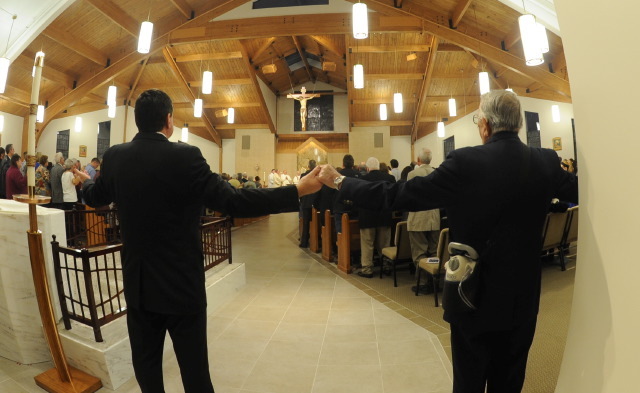 On Saturday November 22, 2014 Our Lady of the Lake Catholic Church, Edwardsburg, Michigan celebrated the dedication of its new church with close to 400 parishioners in attendance. 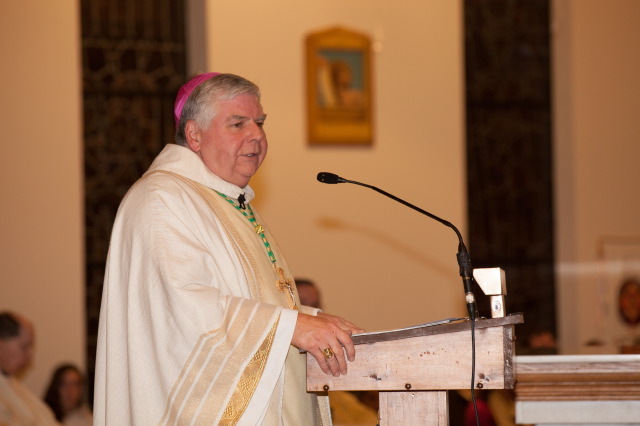 The presiding celebrant was the Most Reverend Paul J. Bradley Bishop of the Kalamazoo Diocese. 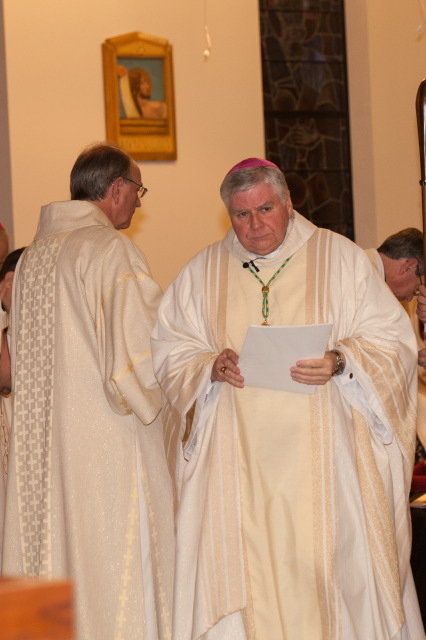 Bishop Bradley was joined by several priest con-celebrants, including Augustinians Fr. 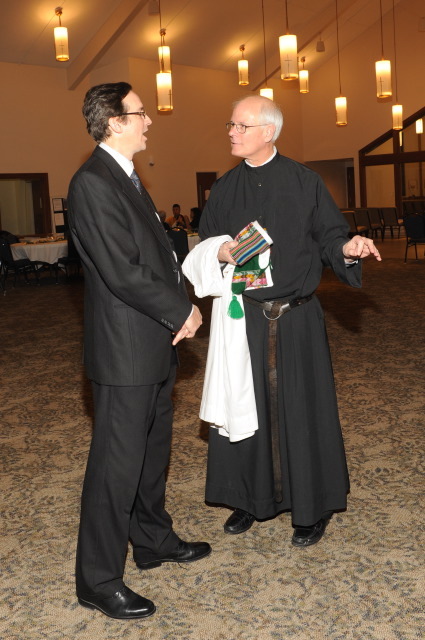 Joe McCormick, pastor, Bishop-elect Robert Prevost, Provincial Fr. 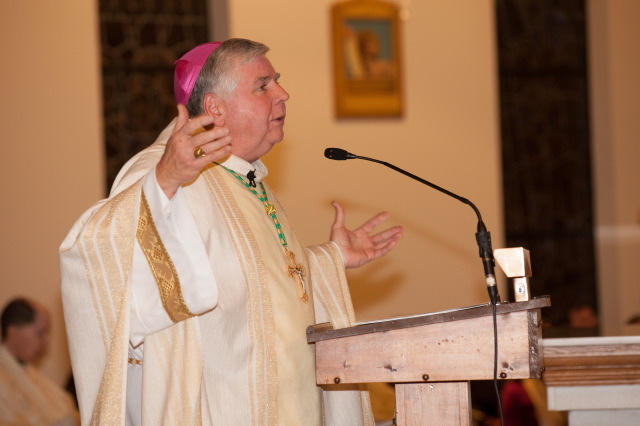 Bernie Scianna, Frs. Jim Halstead, Mike Slattery, and Jim Sheridan. Photos courtesy of Derby Photo. 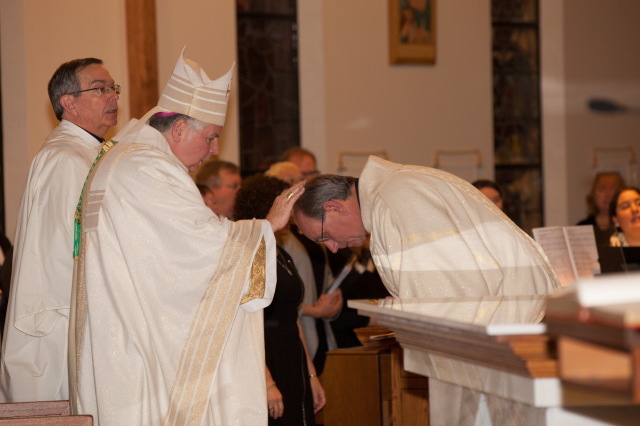 In the Spring of 2014, the $2.4 million renovation and expansion of the church was undertaken. The project with space to accommodate 400 in the church includes a sanctuary, a large narthex, renovated office space, meeting rooms and expanded parking. Over 550 families belong to Our Lady of the Lake and many of those families were on hand to participate in the dedication Mass and reception which followed the Mass. Congratulations to the Our Lady of the Lake community!